Фотобанк РОСФОТО - микросток. 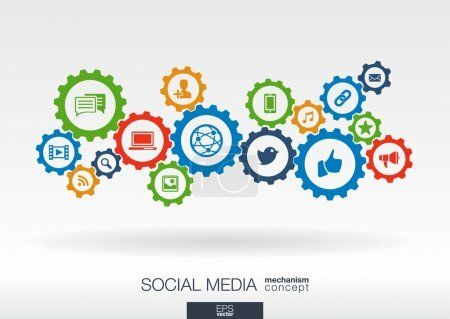 Лицензионные Фото, Видео, Музыка - Social media mechanism concept. XL 3298 x 2345px 15 Mb. Social media mechanism concept. Abstract background with integrated gears and icons for digital, internet, network, connect, communicate, technology, global concepts. Vector infographic illustration.